I am usually too wrapped up in my full time caring role as a mum to two special needs children to actively follow politics, but one night last week I just happened to turn on my TV and find out my country suddenly had a new prime minister! I don’t recall ever seeing her name on any election paper or have I missed something? It seems in the world of politics, unlike my world of full time caring, change is common place. Maybe it was just nervousness regarding change, concerns over the unknown or fears about the reality of living in a country that was about to leave Europe, but I watched the news about the changeover with real apprehension. It turns out I DO have reason to be worried. She talked about “burning injustices” like dying young due to being poor, or being paid less because of gender or young white males being less likely to enter university and I kept listening for more. But there was nothing that I needed to hear about disability access for my children, or more help for full time carers. So I looked at her history during her long time in government (so why had I not heard of her?) and my worries as a special needs mum and full time carer are very valid. Like many full time carers I live in rented accommodation. Both of my children require round the clock care and it is not possible for them to share a bedroom as one has night seizures and the other night terrors. So I live in a house that the government deems to be ‘too large’ and they impose an extra tax on me for this (which we do manage to now avoid due to the significant disabilities of my children but it required yet more paperwork and fighting). What did I read about our new prime minister? Theresa May generally voted for reducing housing benefit for social tenants deemed to have excess bedrooms (otherwise known as “bedroom tax”). What about the income support, carers allowance and other benefits I rely on to survive as a full time carer and special needs mum? Mrs May implied in her speech that life for some is much harder than many in Westminster realise. Does she have any idea how hard life can be to be fully dependent on benefits just because your child or children are disabled and therefore need constant care. What is her thoughts on this? Theresa May consistently voted against raising welfare benefits at least in line with prices. Theresa May generally voted for a reduction in spending on welfare benefits. What about the benefits my children rely on like disability living allowance? Theresa May generally voted against paying higher benefits over longer periods for those unable to work due to illness or disability. What about the rights of my children to receive education, access to treatments, support and protection? Theresa May generally voted against laws to promote equality and human rights. What about all the services my children receive on the NHS like physiotherapy, occupational therapy and speech therapy (my son is non verbal and both my children have autism)? Theresa May generally voted for reforming the NHS so GPs buy services on behalf of their patients. While that sounds great in principal it would require massive funding levels for GP’s given the level of service both of my children require. I have huge concerns wether that funding will ever be enough. I don’t normally ‘do’ politics and I am not saying that Theresa May will not be good for my country. That remains to be seen. But as a full time carer, as a special needs mum, and as someone reliant on benefits as a result of my family dynamics, I am worried. I have a few things in common with Theresa May like being the daughter of a preacher, having a strong marriage and struggling with an inability to have children for years. I just hope that we both also have in common a belief that disability and the rights of carers MUST be a priority too. Right now though, as a special needs mum and a carer, I have reason to be worried. It’s hard to attend meeting after meeting, appointment after appointment with a child who has extra needs. It is painful hearing diagnosis or prognosis from professionals who only see your child for short periods of times. Yet one of the most upsetting things of all for me as a special needs parent is receiving written reports about my child that are inaccurate, poorly written, or worse still, contain information relating to someone else’s child rather than my own! It is unprofessional, inexcusable and very damaging to receive a report from any professional that is inaccurate. These reports are often circulated to everyone working with your child and, even if amended, often the lies are hard to undo. As a result of an inaccurate report on my son he was once given a school placement that was total inappropriate for him. The stress this caused us and the cost to the local authority to rectify this mistake is impossible to measure. In this incidence it was vital medical information that was omitted from a report, without which my son’s medical care was in severe jeopardy. As a result of missing information we are currently in battle with the local authority again, this time in relation to school transport. It is not just missing information that is an issue either. On one occasion I received a report about my son from a therapist which spoke about his ability to name different makes of cars and how he appeared to be doing well in a mainstream setting yet my child is non verbal in a complex needs school! We were sent someone’s else’s report but with my son’s name and date of birth! It was like rubbing salt in a raw wound to read that and I cried. What the department called ‘an innocent mistake’ left me terrified to open any more reports from the same department for months. Then I have reports that state ‘mum said’ in a way that implies I have lied. These too often state things I know for a fact I never said or have been taken completely out of context. It can appear that the author of the report had an agenda and is willing to use anything said to prove their bias opinion. In matters like this it is their word against mine as to what actually occurred at the appointment or meeting as I have yet to be at such an event where matters are openly recorded. It is not the first time I have read a report on my child thinking I was actually reading a fiction story. Then I had a report recently that stated my daughter had a diagnosis that shocked me. It shocked me because not only did her symptoms not even match the diagnosis listed but in fact every medical professional who had ever seen her had failed to mention this new diagnosis and it was the first our social worker and my daughter’s head teacher had heard of it either. When I inquired about the report I eventually found out the minute taker had just ASSUMED this was something my child had despite her only qualification being that of knowing shorthand!! This was over three months ago and yet not one person who attended the meeting that day has received an amended report! This so called ‘new diagnosis’ (in fact non existent!) could seriously affect my daughters health care and education yet it is glossed over as ‘human error’. Some reports on my children are very well done. They are professionally written, accurate, include all relevant information, and are sent out in a timely manner like they should be. Unfortunately other reports make a complete mockery of the health system and meetings. The fact is doctors and lead professionals rarely write their own reports now and while this may seem cost effective it is far from it when reports are clearly inaccurate and require amended and resent. I have felt violated reading lies, angry reading about another child, and physically sick reading about made up diagnosis my child does not have. We HAVE to get it right for every child and that includes written reports. I only had one of my children with me tonight for a simple trip to the store for bread. My pulse was racing, my eyes darting about and my body sweating…all before I had even got him out the car! My son has autism. He does not respond to his name, has no awareness of danger and experiences sensory overload. He is unable to speak. Taking him out of the safety of our own home is dangerous, difficult and demanding! He happens to have a twin sister who also has autism and despite the fact I am a confident, independent person I really struggle to leave the house with my own children. Thousands of parents throughout the country are in the same position. Can you imagine what it must be like to not be able to leave the house with your own children? Going out with your own children is something most families take for granted. 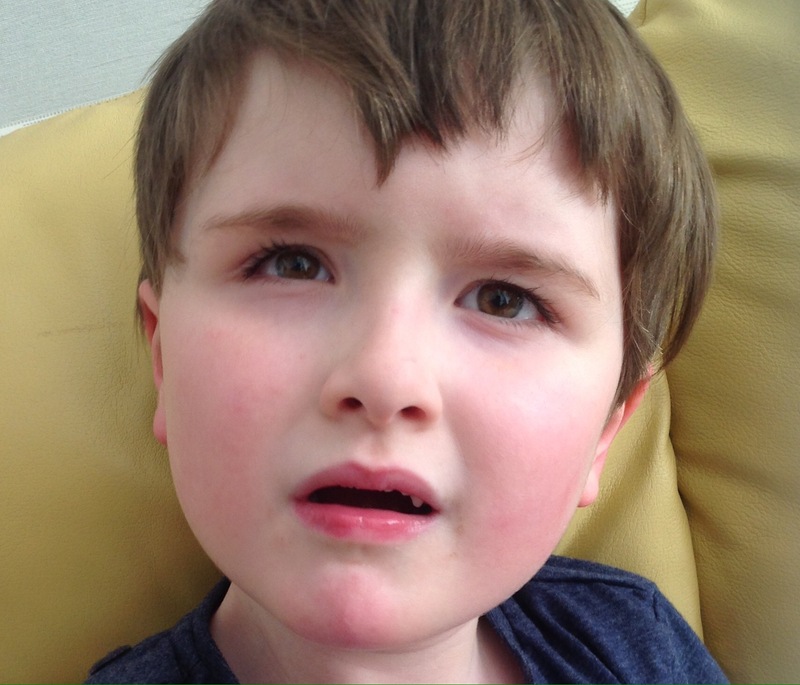 So how does this impact families faced with autism? “Everyday I find myself more housebound” one carer said. “Everyday it’s easier to find an excuse to stay at home.” Anon. This summer please remember the families of children with autism who for various reasons feel they can not leave the house with their own children.